The sales receipt from The Strand Bookstore in New York is dated April 5, 2003. It still remains tucked into one of the most brain-bendingly different books I have ever bought and read called Hacking Matter: Levitating Chairs, Quantum Mirages, and the Infinite Weirdness of Programmable Atoms (Basic Books, 2003), by Wil McCarthy. It was a fascinating deep dive into what was then the nascent nanotechnology research on creating a form of “programmable atoms” called quantum dots. This technology has since found applications in the production of semiconductors. Fast forward thirteen years to a recent article entitled Exoskin: A Programmable Hybrid Shape-Changing Material, by Evan Ackerman, posted on IEEE Spectrum on June 3, 2016. This is about an all-new and entirely different development, quite separate from quantum dots, but nonetheless a current variation on the concept that matter can be programmed for new applications. While we always think of programming as involving systems and software, this new story takes and literally stretches this long-established process into some entirely new directions. I highly recommend reading this most interesting report in its entirety and viewing the two short video demos embedded within it. I will summarize and annotate it, and then pose several questions of my own on this, well, matter. 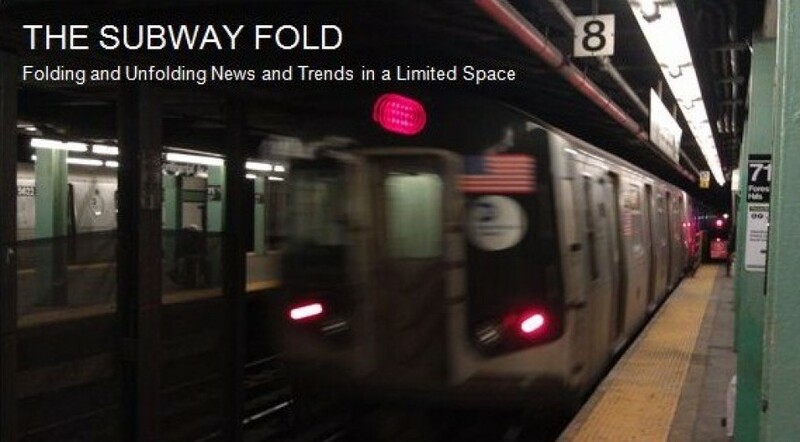 I also think it fits in well with these 10 Subway Fold posts on other recent developments in material science including, among others, such way cool stuff as Q-Carbon, self-healing concrete and metamaterials. The science of programmable matter is still in its formative stages. The Tangible Media Group at MIT Media Lab is currently working on this challenge included in its scores of imaginative projects. A student pursuing his Master’s Degree in this group is Basheer Tome. Among his current research projects, he is working on a type of programmable material he calls “Exoskin” which he describes as “membrane-backed rigid material”. It is composed of “tessellated triangles of firm silicone mounted on top of a stack of flexible silicone bladders”. By inflating these bladders in specific ways, Exoskin can change its shape in reaction to the user’s touch. This activity can, in turn, be used to relay information and “change functionality”. Although this might sound a bit abstract, the two accompanying videos make the Exoskin’s operations quite clear. For example, it can be applied to a steering wheel which, through “tactile feedback”, can inform the driver about direction-finding using GPS navigation and other relevant driving data. This is intended to lower driver distractions and “simplify previously complex multitasking” behind the wheel. The Exoskin, in part, by its very nature makes use of haptics (using touch as a form of interface). One of the advantages of this approach is that it enables “fast reflexive motor responses to stimuli”. Moreover, the Exoskin actually involves inputs that “are both highly tactily perceptible and visually interpretable”. A gap still exists between the current prototype and a commercially viable product in the future in terms of the user’s degree of “granular control” over the Exoskin. The number of “bladders” underneath the rigid top materials will play a key role in this. Under existing fabrication methods, multiple bladders in certain configurations are “not practical” at this time. However, this restriction might be changing. Soon it may be possible to produce bladders for each “individual Exoskin element” rather than a single bladder for all of them. (Again, the videos present this.) This would involve a system of “reversible electrolysis” that alternatively separates water into hydrogen and oxygen and then back again into water. Other options to solve this fabrication issue are also under consideration. Mt. Tome hopes this line of research disrupts the distinction between what is “rigid and soft” as well as “animate and inanimate” to inspire Human-Computer Interaction researchers at MIT to create “more interfaces using physical materials”. In what other fields might this technology find viable applications? What about medicine, architecture, education and online gaming just to begin? How might such an Exoskin-embedded steering wheel possibly improve drivers’ and riders’ experiences with Uber and other ride-sharing services? What entrepreneurial opportunities in design, engineering, programming and manufacturing might present themselves if Exoskin becomes commercialized? Many college students have had the experience of needing to take a required course in finance or economics that they were reluctant to register for because of the complexity of the subject matter. Nonetheless, they were soon pleasantly surprised to find that a talented and motivated instructor could make the subject spring to life. Indeed, a skillful prof can light up just about any topic. Recently, I had this type of experience again. I had developed my own, well, academic interest in bitcoin during the past few years, following various events and tech developments in the news. Not overly curious, but just keeping an eye on developments. I felt no particular need to go out and learn too much more about it. This changed for me on the very cold evening of February 9, 2015, when I attended a terrific presentation at the New York office of the law firm of Latham & Watkins entitled Bitcoin – No Boundaries: Innovation in Bitcoin. The event was very professionally and graciously organized by the financial firm Hedgeable. The agenda consisted of six brief demos by bitcoin startups followed by a panel discussion of experts. The link above contains full videos of the entire program, including links to the startups’ websites, all of which I highly recommend viewing. My completely unscientific poll of the attendees whom I left with on the elevator on the way out was unanimous that they learned a great deal from all of the speakers and presenters and, in turn, were motivated to go out and learn more about the bitcoin movement. Their enthusiasm reminded me of a favorite quote of mine attributed Nobel Prize winning physicist I.I. Rabi. I recalled it from years ago when I read Silicon Dreams: Information, Man and Machine by Robert Lucky (St.Matin’s Press, 1989). To paraphrase it: When asked about the inspiration for his great scientific achievements, Rabi recalled that each day when he returned home from school and his mother greeted him, rather than asking him whether he knew the answers to the teacher’s questions, instead she would ask him whether he asked any good questions. New and intriguing questions, developments and events about bitcoin are now regularly covered by the media. My own follow-up effort to further satisfy my heightened curiosity after the February 9th event was to soon thereafter acquire a copy of The Age of Cryptocurrency (St. Martin’s Press, 2015) by Paul Vigna and Michael J. Casey. Mr. Casey was one of the four panelists that night as he can be seen in the video. This book has done much to help me to better grok bitcoin, with its deep and wide explanations about virtual currencies’ fundamentals (including, among many others, “blockchain” “digital wallet”, and “hashrates”), markets and histories. More specifically, although bitcoin has only been around for six years, grasping the entirety and significance of its remarkable origin and originator (Satoshi Nakatomo), operations, concepts, implications, leaders, investors, benefits, technical flaws, security, encryption protocols, entrepreneurs, communities, supporters, critics, regulations and politics seems to involve more angles than a geometry textbook. Nonetheless, despite the daunting challenge of carefully introducing and then logically mapping out all of this, the authors have constructed, in a very internally consistent manner, a finely detailed travel guide exploring this new world. Furthermore, The Age of Cryptocurrency can benefit the different levels of understanding about bitcoin being sought by a wide spectrum of readers. From those with just a passing who/what/where/why curiosity and then scaling up to people seriously involving themselves in this emerging realm, there is plenty in this text to ponder and consume. 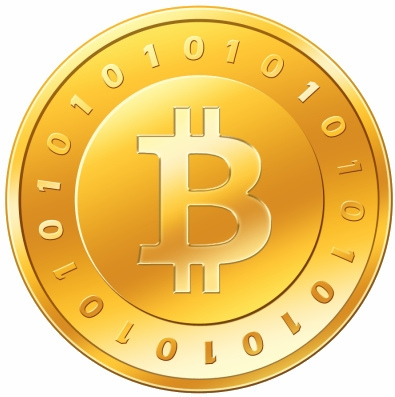 One of bitcoin’s technological operations involves setting up powerful computers (dubbed “mining rigs”), dedicated to solve difficult mathematical equations that will, in turn, release specific quantities of bitcoin on a regular basis. This process is called “mining”. So, too, have authors Vigna and Casey comprehensively mined their subject matter to produce an accessible, informative and spirited book. There is too much to read every day and the amount of it never seems to stop growing! We are swamped with such a multitude of bits and atoms in the forms books, newspapers, magazines, blogs, websites and apps that no one can possibly get through everything that he or she intends to read. Nonetheless, we live in an age where information is a ubiquitous and a uniquely valuable form of currency. While there have been countless presentations and publications on how to tame “information overload“, many of them worthwhile, the need for some new methods is always welcome. There are no absolutely right or wrong ways to increase your consumption of text on paper and on-screen, but rather, a growing choice of methods that meets your individual preference and capabilities. Surely, no one has figured out how to increase the amount of time in each day. It is finite and that’s that. Nonetheless, there are many active and motivated readers out there who have learned to make better use of the time they can allocate for reading. These benefits are found both in terms of the quantity of material they can cover, their comprehension of it, and their retention for subsequent recall, application and synthesis. Sue Shellenbarger, the writer for The Wall Street Journal who write the (always excellent, imho) Work and Family column, published a very helpful and insightful piece entitled Get Down to Magazine Zero: Reading Faster and Smarter, in the March 11, 2015 edition of the paper. (The article appears on WSJ.com under the different title of How to Declutter Your Magazine Pile.) I will first summarize, list and add some comments to the methods described in this article and then add a series of my own suggestions in this never-ending quest to stay up-to-date. Confining your Facebook usage to a weekly stop limited to industry news. Likewise, reduce the time you spend watching TV and use the time for reading. Passing up Wi-Fi availability on plane flight and instead dedicating that time for reading. 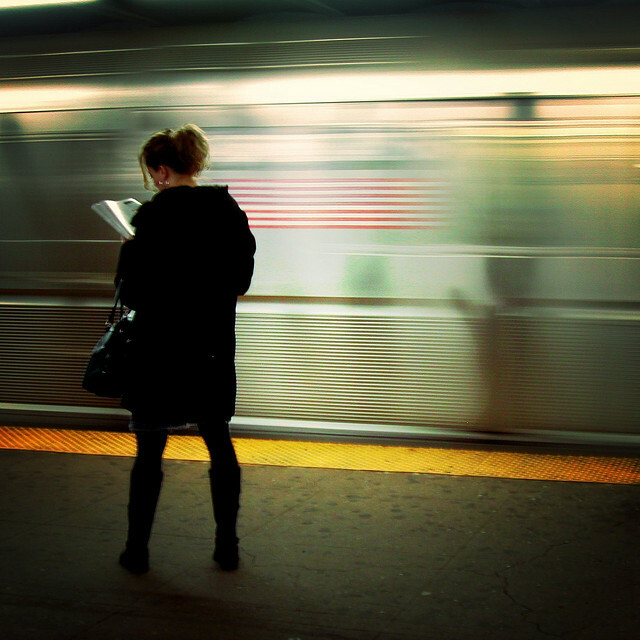 Listening to audio-books while on public transportation, walking or exercise. Employing a strategy called “Always be reading” or ABR. That is, to always have reading material with you during any activity where you might have some time to yourself such as commuting or waiting in line. I have always followed ABR to the, well, letter. I never leave home or even go to the laundry room (which, btw, can be quite conducive to reading soap operas), without something to read. Printout or email yourself important articles for later access and review. Trying out one or more of the seven downloadable apps for mobile devices listed in an accompanying sidebar to this article. They provide convenient support for users to “compile, organize and prioritize” items you have selected for later viewing. Of these, I have used Flipboard and found it to be quite helpful. Another hugely popular app in this space and for other useful online gathering and drafting function is Evernote. Meeting with friends on a regular basis who have some expertise in particular area of interest to you and, in turn, you know about a field of interest to them. Setting the timer on your smartphone for a fixed period each day devoted exclusively to reading and use it to maintain your reading schedule. Prioritize your reading material on a continual basis in order to elevate or eliminate each item accordingly. Consider taking a speed reading course. Other interesting sites mentioned include Summary.com which offers executive summaries of books, and NextIssue.com is a subscription site gateway to unlimited access 140 magazines. Make good use of the Bookmarks in Firefox or the Favorites in Internet Explorer to mark and save the sites your frequently visit. This provides ready one-click access to all of them. Moreover, you can easily organize them into lists, folders and sub-folders according to your browsing needs. Try your browser’s RSS function to “push” content of interest out to you as soon as it is posted online. Set up an additional Twitter feeds to dedicate entirely as your own newsreader. Rather than using this for any interactive or communications purposes, limit this for personally curated content only. Try setting up a few Google Alerts with its fine-grained filters to deliver news to your Google account. Keep current on newly published books by regularly reading book reviews. The book sections of The New York Times and The Wall Street Journal are great places to begin. Use Amazon.com to research books, authors and topics of interest to you. Likewise, follow some of the links to the books recommended on the pages you are perusing. For a more retro version of this, I highly recommend wandering around a bookstore and seeing where it takes you in terms of discovering new titles and writers. (If you are in or near New York, there is no better place anywhere to do this than The Strand Bookstore.) I also recommend visiting GoodReads.com as an endless virtual well of book recommendations. Set up self-imposed deadlines and goals to try to get through everything you deem important. For example, I will finish this book by X date; I will finish 25 books this year; I will finish all of my online or on paper subscriptions before the next issues are posted and/or mailed; and so on.